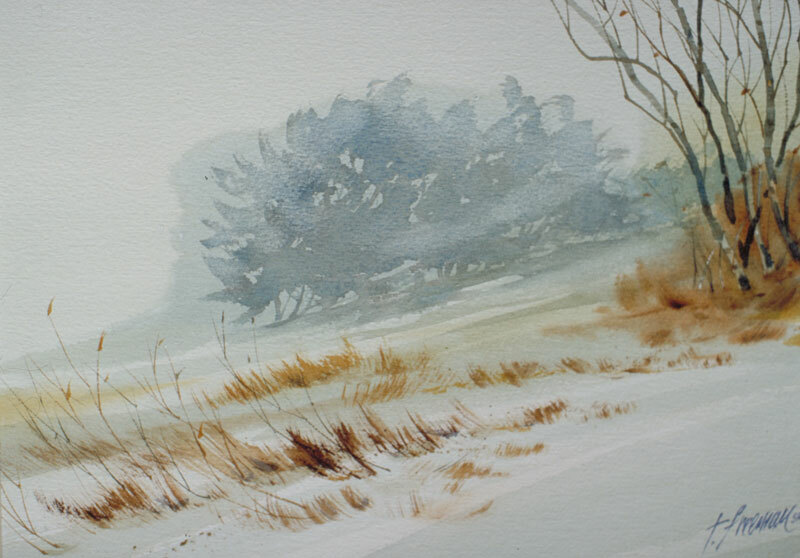 Thomas Freeman Original Watercolor Painting: "Cold Winter's Day"
This is a foggy, winter day in Minnesota. In the fog, as soon as you get a little further away, the foliage turns that dark gray. In the foreground the rust-colored weed forms stick up through the snow. I brushed it all in and kind of like how it turned out.